Since Amazon’s media streaming devices are powered by FireOS, you can install and run Kodi natively. In fact, we’ll teach you how to install the latest version of Kodi (i.e. Kodi 18.0 Leia version) on Amazon Fire TV devices very easily. So, make sure to take a quick look and decide which one feels the most comfortable, based on your tech skills. Also, we’d like to say that the following Kodi installation guide applies to the Fire TV Stick (2016 and up), Fire TV Stick 4K, Fire TV (2017 and up) and Fire TV Cube. Finally, enable the option that says ‘Apps from Unknown Sources’. This option needs to be turned on. You will see a warning but feel free to confirm your decision. As said earlier, we’ll be teaching you how to install Kodi 18 on Fire TV Stick devices via four different methods. Take a look. 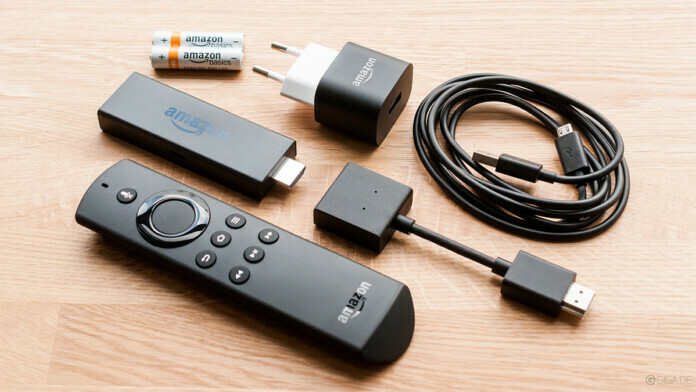 Here’s how to install Kodi on Amazon Fire TV and Fire TV Stick via Downloader. Now find the blue-colored button that says ‘ARMV7A (32BIT)’. Wait a couple of seconds; You will see a new window with the progress bar. Wait for the download to be completed. The process of installation might take a couple of minutes. Wait for the process to end. Once Kodi finishes installing, you’ll see a button that says ‘Open’ in the bottom-right corner. 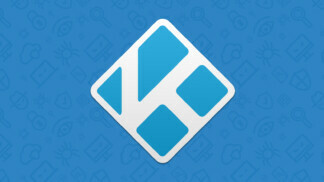 Welcome to Kodi! 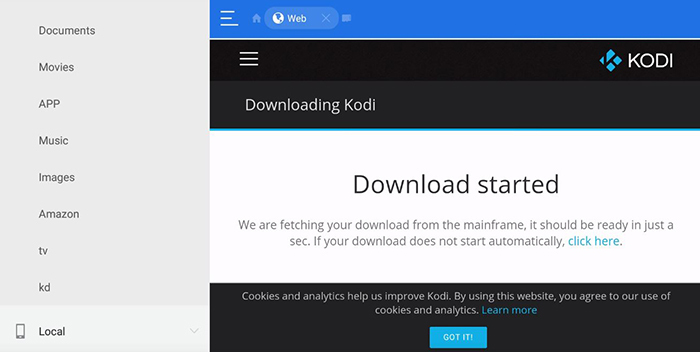 We hope that you managed to install Kodi on Firestick using the Downloader application. The Kodi app will now be permanently placed on your Fire device, from where you can launch it. This process is somewhat similar to our previously explained installation method. 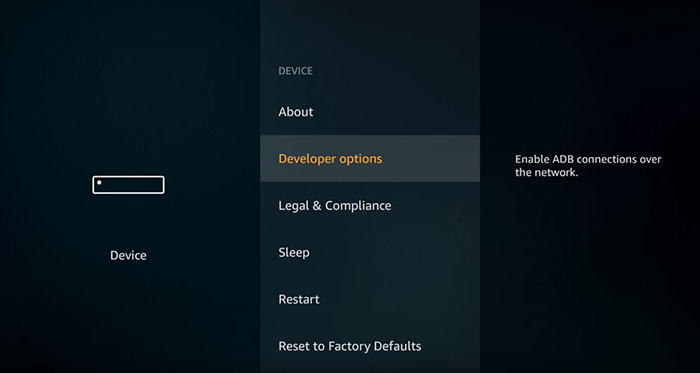 So, here’s how to install Kodi on Amazon Fire TV and Fire TV Stick in 2019 via ES File Explorer. You will now enter the installation screen of Kodi. 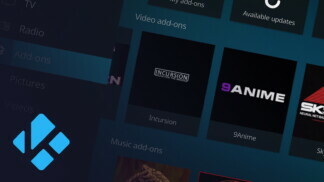 Pick ‘Install’ in the bottom-right corner; Once Kodi is installed on your Fire TV, press ‘Open’ in the bottom-right corner to launch the application. That is all you need to know. 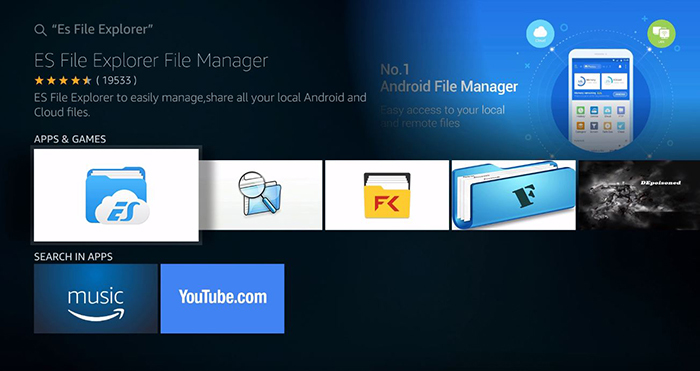 We hope that you managed to install Kodi on Firestick using ES File Explorer. Kodi will now reside on your Firestick where you can find and launch it anytime you want. Next, we’ll teach you to use your computer instead of relying on your media streamer. 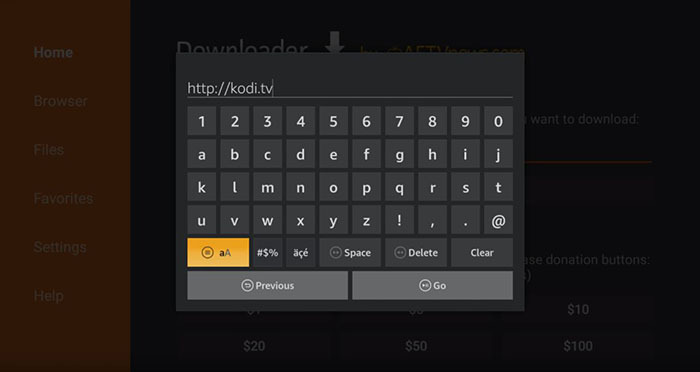 So, here’s how to install Kodi on Amazon Fire TV devices via ADB Link. Finally, click on ‘ARMV7A (32bit)’. 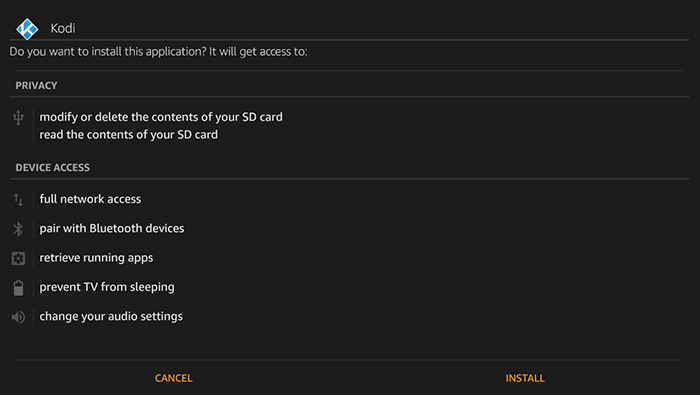 It’s important to download the 32bit version because the Fire TV Stick doesn’t work with 64bit applications. Kodi will now download and save to your computer. Open the following address in your Web browser: https://jocala.com/. Scroll down until you see the Downloads section. This is where you can download different files for different operating systems. At the moment, you can use ADB Link on Windows, Mac, and Linux. You will be redirected to a third-party website from where you can download the file. 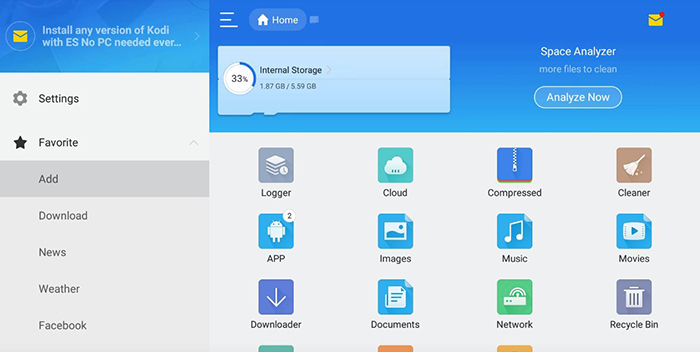 Finally, install the application on your computer. That’s it! You can follow the process via the progress bar located at the bottom of the app’s window. Once the process ends, you’ll be notified that Kodi is now installed. Kodi should now be visible on your Fire TV Stick. You can use it just like you would on any other device. Lastly, we’ll teach you how to install Kodi on Amazon Fire TV and Fire TV Stick device using Apps2Fire. 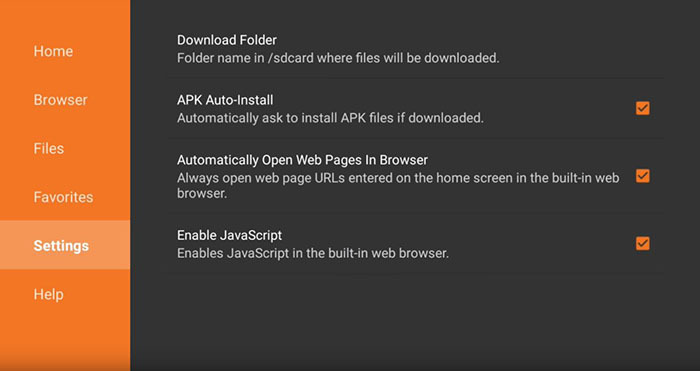 Open the Play Store on your Android smartphone or tablet. In the search field at the top of the screen, type in ‘Kodi’. Now select this application from the search results. 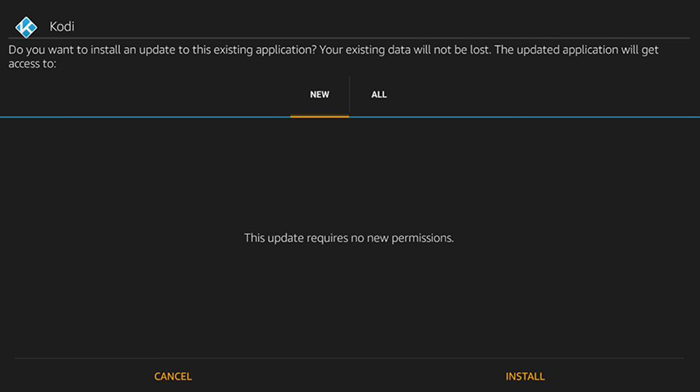 Finally, tap on ‘Install’ and wait until the application downloads and installs on your device. Repeat this process for Apps2Fire as well. 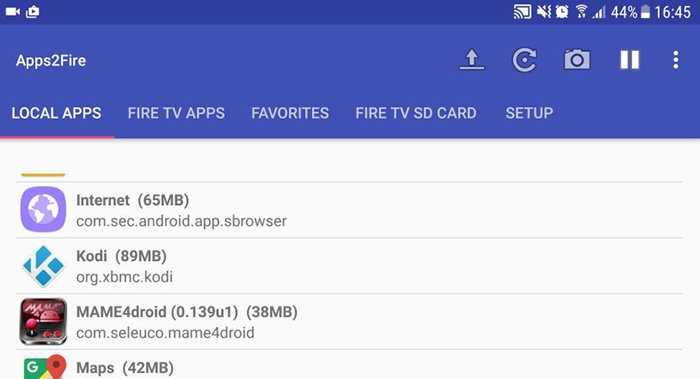 Once you’ve downloaded Kodi and Apps2Fire on your Android device, it’s time to see how to install Kodi on Firestick. The first step is to see your Fire TV Stick’s IP Address. On your Fire TV Stick, go to Settings > Device > About > Network. On the right side of the screen, you’ll see your device’s IP Address. You will be able to see the entire process. 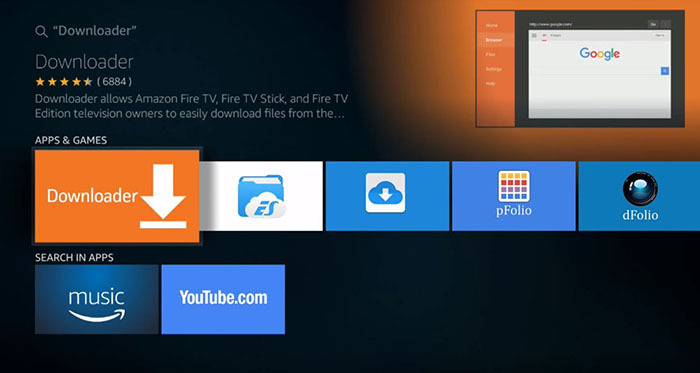 Apps2Fire will now upload Kodi to your Fire TV Stick and install it. You should see a confirmation that Kodi has been installed. Feel free to use your Fire TV Stick and find Kodi among installed apps. It should work out-of-the-box, without any additional setup needed. Hopefully, you’ve managed to install Kodi on your Amazon media streamer. We’ll now take a look at what to do next to make sure you’re using Kodi’s in the best possible way. 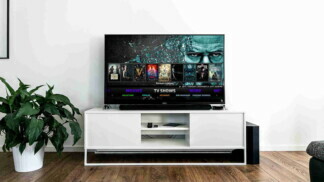 This is where we conclude our article on how to install Kodi on Firestick in 2019. We hope that you found this article to be helpful. In case there’s anything you’d like to say, please use the comments section found below. You can always share this article online with other Kodi enthusiasts. Also, make sure to stay on top of the latest information by following our page on Facebook and Twitter.